In the summer of 1917, Chicago businessman Cyrus McCormick, Jr, the farm machine magnate, met ̀the 26-year-old composer Sergei Prokofiev while on a business trip to Russia. Prokofiev was unknown to McCormick, but the composer recognised the distinguished American�s name at once, because the estate his father had managed owned several impressive International Harvester machines. McCormick expressed an interest in the composer�s new music, and he eventually agreed to pay for the printing of his unpublished 'Scythian Suite'. He also encouraged Prokofiev to come to the United States, and asked him to send some of his scores to Chicago Symphony Orchestra music director Frederick Stock. Prokofiev made his debut with the Chicago Symphony the following season, playing his First Piano Concerto and conducting the orchestra in his Scythian Suite in December 1918, both United States premieres, and returned to Chicago four more times. During the last trip to Chicago, in January 1937, he led the Chicago Symphony in selections from his new, still-unstaged ballet, 'Romeo and Juliet'. The premiere of' Romeo and Juliet' eventually was given in Brno, Czechoslovakia, without Prokofiev�s participation, and the ballet wasn�t staged in Russia until January 1940 after both the Kirov and Bolshoi ballets had turned it down. In the meantime, Prokofiev made two orchestral suites of seven excerpts each, and it was the first of these that he conducted in Chicago. 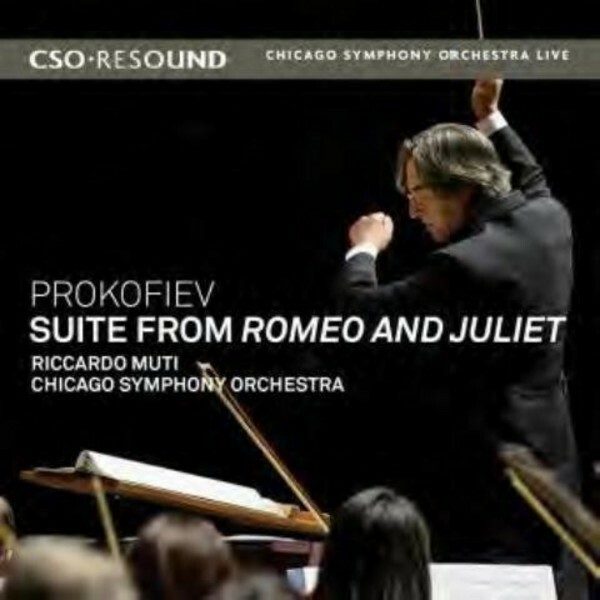 This new album features selections from both of Prokofiev�s suites, played with thrilling intensity by the Chicago Symphony Orchestra and Music Director Riccardo Muti. Having performed the suite in Chicago and on tour in 2011, the CSO and Maestro Muti returned to the work in the 2013/14 season and recorded it at Symphony Centre during live concerts in October 2013. Includes full-colour booklet with notes in English, French and German.